All of Pacific Northwest Expeditions guides are required to have professional sea kayak guide certification through the Sea Kayak Guides Alliance of British Columbia. All our guides have experience in the areas in which they lead trips and are trained in responsible wilderness travel practices, no trace principles, food management & safety, remote wilderness first aid and natural history interpretation. In addition to in-house guide skills development, Pacific Northwest Expeditions has used the services of SKILS (Sea Kayak Instruction and Leadership Systems Ltd) to assist in our guide training. SKILS staff have extensive backgrounds in guiding and instructing, and offer a wide range of services, and courses to help companies and individuals develop their potential as sea kayaking industry professionals. 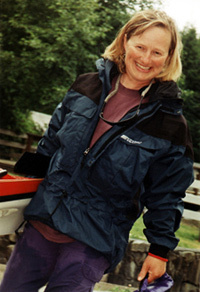 Gillian is a native of Vancouver Island and has been guiding sea kayaking tours since 1996. She has completed Sea Kayak Leadership training as well as Advanced Wilderness First Aid and Level II Guide Certification through the Sea Kayak Guides Alliance of BC. Pacific Northwest Expeditions guests have long enjoyed the culinary delights that Gillian has developed over the years. She has many years of paddling, hiking, and exploration both here and abroad complimenting her outdoors experience. Gillian works the ‘off’ season at Vancouver Island University as a captionist for Disability Services. Prior to her guiding career, Gillian spent ten years in the field of First Aid and Safety and five years in the natural food and nutrition industry. Gillian is actively involved in environmental, community and social issues . She has many years of paddling, hiking, and exploration both here and abroad complimenting her outdoors experience. Gillian loves ART and FOOD. 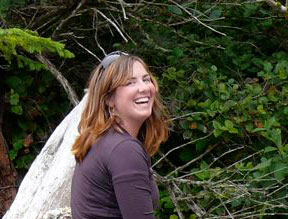 Gillian is actively involved in environmental and social issues and was director with the Nanaimo Area Land Trust (NALT) from 1998 to 2011. She is a founding director with the South Wellington and Area Community Association and chairs the Environment Committee. A member of the Nanaimo Field Naturalists she recently reported (Jan 2009) the first sighting of a Northern Hawk Owl in the Nanaimo area. Growing up in the remote northeastern corner of British Columbia, Brian developed a love of the outdoors at an early age. 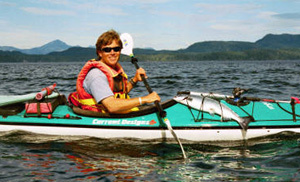 In 1980 he relocated to Vancouver Island and in 1993 started his career as a professional sea kayak guide. Since then Brian has logged over 1000 commercial guiding days. He is an experienced outdoor leader and a graduate of the Canadian Outdoor Leadership Training centre. His competence is readily apparent, gained from his many years of experience in various modes of self propelled wilderness travel and camping. 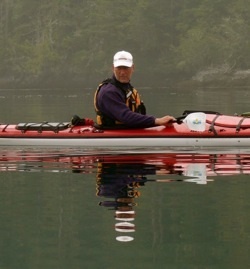 Brian maintains Level III Sea Kayak Guide Certification with the Sea Kayak Guides Alliance of British Columbia (SKGABC). He is active in the SKGABC, serving as vice-president from 1999-2001, and was the representative to the Adventure Tourism Joint Steering Committee, an initiative negotiating land access and land use issues between the BC Provincial government and the adventure tourism sector associations of BC from 2000 through to 2006. Brian has his Small Vessel Operator Proficiency Certification licensing that is required for skippering small commercial vessels (commercial vessels to 15 gross tons). Brian is an active advocate for the protection of our wilderness areas and is involved in a number of endeavours that reflect this passion. Recently he has become very involved in local community sustainability issues. Brian was a board member with the Johnstone Strait Killer Whale Iinterpretive Centre Society from 2005 - 2012, and board chairperson for 5 years. The JSKWICS manages the Whale Interpretive Centre located in Telegraph Cove. Recently he has become very involved in local community sustainability issues and for 3 years was a member on the Citizens Advisory Panel for the Regional District of Nanaimo Area 'A' Official Community Plan review. Brian has aslo developed and maintains our local community association website www.southwellington.com. A day trip in 1994 convinced Kerry that sea kayaking was something that he had to pursue. He has been paddling and building wood strip sea kayaks ever since. An avid photographer, great cook, and knowledgeable in a vast array of subjects. Kerry has been exploring in the outdoors since the early 1960’s and continues to enjoy sharing the experience with our guests. Kerry and his wife Leona, have two sons, a grandson with another on the way. Kerry is a certified Level III Sea Kayak Guide with the Sea Kayak Guides Alliance of BC and maintains Advanced Wilderness First Aid and CPR Level”C” certification. When not on the water Kerry has been actively involved in the Sea Kayak Guides Alliance of BC serving two terms as Vice-President and several years providing administrative support services to the SKGABC. Kerry has an interest in building cedar strip sea kayaks, canoes, and paddles, and his creations are works of art. Erin is a graduate of the Canadian Outdoor Leadership Training Centre and a Level II guide with the Sea Kayak Guides Alliance of BC. Erin's athletic and leadership skills are evident from her volleyball career, a 5 year member of the Simon Fraser University Women’s Varsity Volleyball Team, 2001 Captain of the B.C. Junior Girls Provincial Volleyball Champion, the 1999 National Juvenile Girls Volleyball Championships, the 1997 Provincial Midget and 1999 Juvenile Volleyball Teams and the Kelly Road Secondary School Senior volleyball, basketball and soccer teams. Erin was “Athlete of the Year” at her Junior (1997) and Senior (1999) years at Kelly Road School. Cara has guided trips with Pacific Northwest Expeditions since 2001, and we are pleased to have her with us full time for this coming summer. She has spent many a summer guiding and exploring in the Johnstone Strait area. Her knowledge of both the natural and cultural history of the area has become extensive over the years. Infectiously good humoured and hard working Cara is an absolute joy to spend time with. 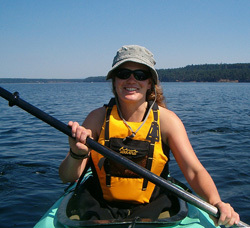 She maintains advanced wilderness first and her Level II Guide Certification through the Sea Kayak Guides Alliance of BC. Cara and her equally wonderful husband Craig live on their sailboat and have been spending their winters in Hawaii.